Sausages - great for a quick Breakfast or dinner. Usually they are boiled, but roasted sausages also came out very tasty. Try to cook them in the microwave - the process only takes a few minutes and the dish will turn out more useful. 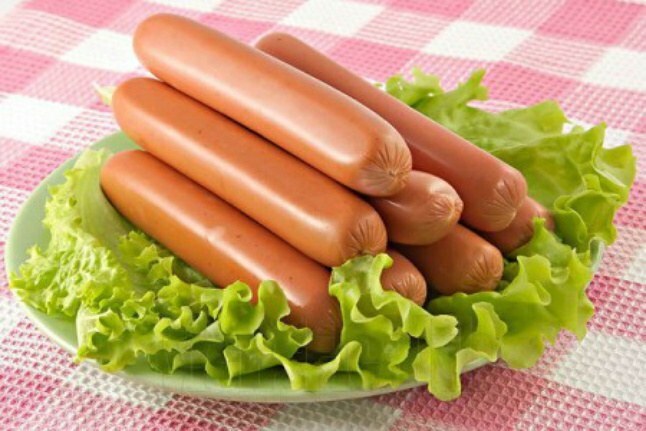 Cook sausages in the microwave is easy - it is important to find the suitable dishes and not pour too much water. Remove the shell from the film, if any. Place sausages in a plastic saucepan and cover with water so that the liquid is only slightly covered them. Cover the saucepan with a lid or plate and place in the microwave. Cook sausage for 2 minutes on full power, and then remove, put on plates and serve. This dish is prepared very quickly. It would suit any sausage, smoked sausage or wieners. Serve them with toasted toast and spicy tomato or garlic sauce. Slice sausages on the ends crosswise. Place them on a plate, cover for microwave oven and bake for 3 minutes on maximum power. This delicious dish can be a snack to beer or a simple dinner. Add the meat, green salad and fresh vegetables. Sausages spread out on a plate, cut each in the middle. In the section add a little bit of herbs, add pepper. Put a plate in the microwave for 2 minutes. Cheese cut into thin slices and place on top of the cut. Again place the dish in the microwave. Bake the sausage for 1 minute at maximum power - the cheese must melt. Serve with fresh black or multi-grain bread. The thus prepared sausage would be a great dish for lunch or dinner. Hot boiled potatoes mash into a puree. For greater uniformity of root crops, you can skip through a meat grinder. Add the egg, flour, semolina and salt. Knead the dough until smooth. On a floured Board roll it into the reservoir, and then cut into rectangles the size of the respective sausages. Free sausages from the foil, place the potato squares and carefully desipite the edges of the dough. Melt the butter and whisk it with the egg. Lubricate this mass of sausage rolls. Lay them in the dish for microwave ovens and each sprinkle with grated cheese. Place the dish in the microwave and bake for 6-7 minutes at medium power. The cheese should be fully melted.